Search and view home builders in El Paso, Texas using the quick links and information you see below. Each of the Texas home builders listed below offer new homes for sale and new home communities throughout El Paso. To learn more about each individual home builder, visit Russell-Realtor's websites where you can discover information on new home designs, floor plans, contact information, and community locations. Sanderson Custom Homes – Sanderson Custom Homes is a custom home builder in El Paso, Texas. Sanderson Custom Homes has 17 different floor plans to choose from. Each floor plan ranges from 1,921 to 3,600 square feet, with 3 to 5 bedrooms and 2 to 4½ baths. Sanderson Custom also has some move-in ready homes that start at the high $200s. 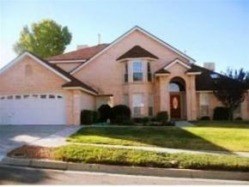 Classic American Homes – Classic American Homes has built over 5,000 homes in El Paso, Texas. They currently have 13 communities in the El Paso area. For more information please visit the Classic American Homes website. Winton Homes – Winton Homes currently has 13 communities in El Paso. Winton Homes also has 9 communities in Las Cruces. Winton Homes is a custom home builder that only builds in Texas. These homes start at the high $100s. Tropicana Homes – Tropicana Homes is a Texas single family home builder. This local El Paso home builder has homes ranging from 1,791 to 3,419 square feet with 3 to 4 bedrooms.